Essential oils for headache and migraine have been used for decades to treat aches and pain. Whenever an essential oil is inhaled through the nose or is applied topically it binds to the receptor sites. As the binding takes place, signals travel to the brain and other body parts. It produces different reactions to the body such as those of; calm, tension relief or improvement in mood. 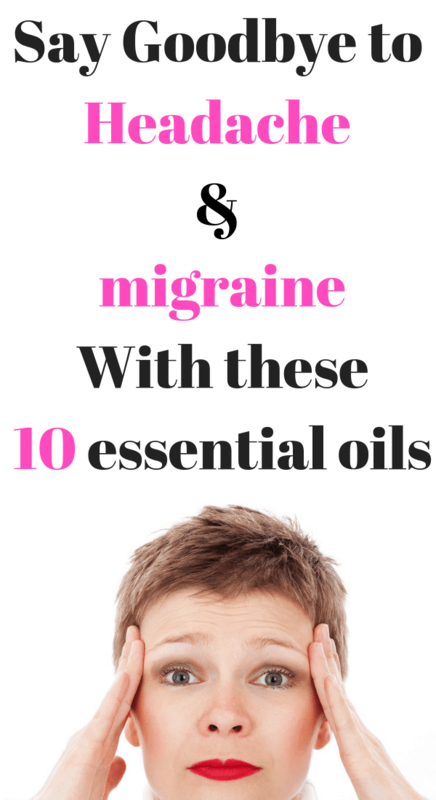 10 Essential oils for headache and migraine-Guaranteed to provide relief. Essential oils for headache and migraine work by slowing down the activities of the central nervous system. They relieve tension to induce calm and comfort. 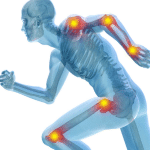 They can trigger a pain relieving effect or anti-inflammatory response. In fact, after a few minutes of using them, you will feel some relief. Essential oils for headache and migraine work differently for different people. Therefore it is recommended to try experimenting with different oils to find one that works better at reducing your pain. If you suffer from chronic pain as a result of headache or migraine, it is essential to add essential oils to your daily routine. These essential oils for headache are, cheaper, safer and effective at relieving pain compared to pharmaceutical drugs. Most essential oils are non-toxic and have got no adverse side effects if used adequately compared to most conventional drugs. There are two most effective ways to use essential oils for headache and migraine relief. a) Apply them directly on the skin around the affected areas. Topical application of essential oils on the skin aids in their direct and quicker absorption through the skin. When oils are applied on the skin, they get absorbed into the bloodstream through the skin pores. From there it goes to different body systems on which they work. Dilute the essential oil in a carrier oil before applying it topically on your skin. Essential oils are very potent therefore they should not be applied directly on the skin. They can react to the skin and cause skin irritations. Use the oil according to its usage and recommendations as stated on the label. Here are examples of carrier oils you can add to the essential oils; coconut oil, sweet almond oil, jojoba or olive oil. Add any of your choices to the essential oils. Inhalation enables you to absorb the aroma of the oil directly through your sense receptors such as the nose. These receptors then send signals to the brain which is activated to produce a given response on the mind or body. A response can be that of calming, relaxation, arousal or an alteration in your mood. Test a very small amount of any essential oil you want to use. Inhale one or two drops of the essential oil placed on a cotton ball. If you experience any allergic reactions as a result of using any oil which lasts for more than 30 minutes, please do not use the oil. Make sure to use an essential oil whose scent, you can tolerate. Here are the ten essential oils that can help relieve headache and migraine. 1. Peppermint essential oil for a headache and migraine. Peppermint helps to relieve muscle tension and nerve pain. It has high contents of menthol which produces a cooling sensation that numbs the pain caused by headache or migraine. Peppermint oil has anti-inflammatory compounds too which makes it useful for curing headaches and migraines. In a 1994 study, 32 participants observed in a double-blinded randomized placebo-controlled study. Peppermint essential oil and ethanol was applied topically on their temples and forehead, and their treatment evaluated. Rub two to three drops of peppermint essential oil and a half teaspoon of carrier oil. Apply this around your temples, forehead and on the shoulders. You can as well rub it on your palm and inhale. Peppermint oil is intense hence should not be used on children. 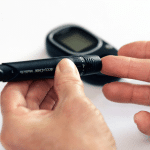 It can cause skin irritations and allergic reactions. Make sure to dilute the oil with a carrier oil such as coconut or jojoba before applying it topically. 2. Eucalyptus essential oil for a headache and migraine. Several studies show that Eucalyptus has unique anti-inflammatory and analgesic effect when applied topically. It treats a headache by enhancing blood circulation around the temples and the affected areas, as a result, relieve tension and pain. Eucalyptus essential oil has a cooling and soothing effect on the skin. Hence it is useful for a message on the affected areas. Therefore, it is excellent for relieving tension headache caused by stress or anxiety. This oil helps and relieves tension on muscles. It increases the blood flow on the tensed muscles, and as a result, helps to lower your blood pressure and reduce pain. Add two to three drops of eucalyptus oil and one drop of carrier oil on the palms of your hands. Rub it in the palms of your hands, then place it over your nose and inhale for relief. Massage it on the affected areas such as your forehead too. 3. Rosemary essential oil for headaches and migraine. This oil is excellent at relieving muscle pain, headache, and joint pain. Rosemary essential oil has anti-inflammatory and analgesic properties. It reduces pain by relaxing and calming tensed muscles which could be as a result of stress or anxiety. Pour three drops of rosemary essential oil and peppermint essential oil to two drops of coconut or olive oil. Apply the oil topically on your temples and forehead. This oil is my go-to essential oil for pain. It is very effective at relieving joint pain, headache and migraine pain. Ginger essential oil has anti-inflammatory, antihistamine and anti-nausea properties. It anti-inflammatory compounds help reduce inflammation and tension. Moreover, the sharp and robust smell of ginger is what makes it compelling for relieving pain. Dilute two drops of ginger oil with coconut oil and massage it around the temples, shoulders, and head. You can as well add a few drops of peppermint to the blend to make more effective. This oil is an excellent essential oil for a headache and migraine. Lavender calms and relaxes tensed muscles. Its analgesic and anti-inflammatory properties make it unique for relieving pain. It has a sedative, relaxing and calming effect on muscles and nerves. This is the reason why lavender is used widely to prevent insomnia. Lavender essential oil helps relieve tension, stress as well as pain. Therefore, it is good at treating tension headaches and migraine. It also helps to induce sleep and prevent insomnia caused by stress or anxiety as well as reduce headache. In 2012, a study carried out in a placebo-controlled clinical trial of patients suffering from migraine was done. 47 patients with migraine headaches divided into cases and controls were observed. Each patient inhaled lavender essential oil for a minimum of 15 minutes. The findings from this study prove that inhaling lavender essential is effective and safe for the treatment of migraine headache. Lavender oil also helps to regulate hormonal imbalances in the body. These imbalances could be as a result of menopause or a painful menstrual period. They can contribute to a headache and migraines if untreated. For a headache or migraine relief, inhale lavender essential oil directly from the bottle. You may also apply a few drops to your palms and inhale. Consult your primary physician if you are experiencing any of these conditions. 6. Chamomile essential oil for headache and migraine. It is good at treating headaches caused by tension or stress. Chamomile oil helps relieve muscle and joint pain. It is effective for relaxing and calming tensed muscles too. Chamomile oil has anti-inflammatory and analgesic properties that help relieve stress and tension headaches. It also helps to treat insomnia, anxiety, and stress which are great precursors of problems. If you are having trouble falling and staying asleep, check my post on causes of insomnia and how to prevent them here. Try using chamomile essential oil as part of your regular routine to relieve headache, enhance mood and improve your sleep. Chamomile essential oil is highly concentrated, therefore use it with caution, too much can be dangerous. Remember not to use it without diluting it with a carrier oil because it can cause irritation. Do not use it on children younger than 3 months since it can cause irritations. Pregnant women should not use chamomile essential oil since it can cause a miscarriage. Put a few drops of chamomile oil with a carrier oil and apply topically on your temples, forehead, and neck. You can as well add two drops of lavender essential oil to two drops of chamomile oil and apply topically. Make sure to dilute the essential oil with a carrier oil before use or diffuse for 30-45 minutes. In addition to this, add chamomile essential oil to your bathing water. Diluted with half a teaspoon of your favorite carrier oil to your bath water. This essential oil works best at relieving headache migraine pain caused by hormonal changes in the body. It helps to regulate and balance hormones such as those caused by painful menstruation and menopause. Geranium essential oil also provides relief from physical, nerve and mental exhaustion. You may have pain as a result of stress or muscle tension by relaxing and calming the body. Whenever you feel tensed try geranium essential oil. Mix two to three drops of geranium essential oil and half a teaspoon of coconut oil to dilute it. Massage the oil mixture on your forehead, neck, and shoulder. This oil is an excellent aromatherapy essential oils for treating headache and migraine. It helps to provide mental clarity and boost memory. Moreover, Sandalwood oil enhances alertness as well as focus. Sandalwood essential oil promotes calm and relaxation of nerves which helps to reduce tension headaches. Inhale sandalwood essential oil directly from the bottle. Just open the lid and bring close to your nose and inhale. You can also add a few drops to your diffuse and diffuse for migraine relief. 9. Lemongrass essential oil for headache and migraine. This essential oil has a soothing and relaxing effect that helps calm a throbbing headache. It can relieve pain and pressure that contributes to a tension headache. Lemongrass essential oil helps to cool down the body by lowering the temperature which is often a symptom of a headache. The cooling effects of lemongrass oil help numb and reduce the pain caused by headache or migraine. It can help; elevate your moods, improve your sleep, enhance mental clarity, prevent anxiety and depression. Dilute two to three drops of lemongrass essential oil with a carrier oil. Using this oil undiluted can cause skin irritations. Rub the mixture on the affected areas such as the temple and the forehead. 10. Frankincense essential oil for headaches and migraine. This oil has got high amounts of anti-inflammatory properties which helps to reduce muscle tension and spasms. In addition to this, Frankincense oil’s anti-inflammatory properties help to relieve pain caused by migraines and severe headaches. The analgesic and tranquilizing properties of Frankincense essential oil also help to reduce pain and induce sleep. Inhale the essential oil through your nose directly from the bottle for quick relief. You can as well apply it on the palms of your hands, bring closer to your nose and inhale. In addition to this, you can also apply it directly on the skin. Mix two drops of frankincense oil with a carrier oil such as almond or jojoba oil. Rub the oil on your temples and forehead. Use these essential oils for headache and migraine to relieve pain caused by a headache or migraine. These essential oils are quite effective, therefore you do not have to spend money on expensive drugs anymore. Experiment with the oils so as to find one that gives you much relief. Do not just rely on one essential oil even when it is not giving you much relief. These essential oils for headache and migraine work differently on different people. What works for another person may not work for you, so don’t give up trying. If your headache or migraine persist then do not hesitate to contact your doctor. Do not try to mask the symptoms when you are not experiencing any relief. Your headache could be as a result of a serious health condition so do not ignore it. If you have any question regarding these essential oils, please let me know in the comment section below.